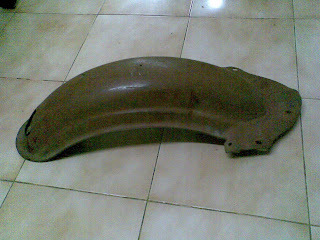 I still have brand new rear mudguard, engine gear components for Jawa, Yezdi and Roadking bikes and other assorted items. 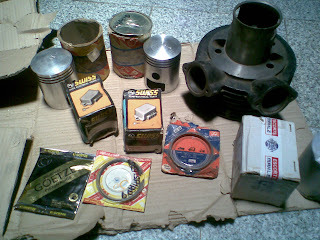 Cylinder for JAWA and CDI for Road king with few pistons of IPL make. My kids got attracted by the Roadking's seat plate. Hmmm it took sometimes for me to get it out of their hands. Hi Sivakumar, let me know if you still have the Raodking's CDI kit. I would like to buy it. Also let me know the cost for it. 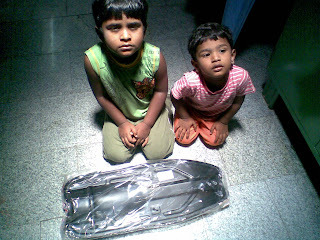 I m interested in some JAWA parts, Kindly provide your contact details or you can call me on 9819040456. 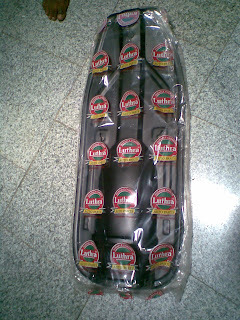 Still do you have those spares.If so pls provide your contact number in your blog. 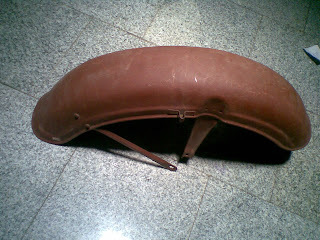 Do you have a mud guard for the Roadking? i'm getting my bike back on the road! Could you email to me the spare parts avialable with you for Yezdi Road King, specially oversize pistons and rings sets, and their cost, at akahuja@37.com or akahujaadv@gmail.com? My bike is 1997 model, very little driven and in a1 condition that ill luv to maintain. Looking forward to hear from you. AK Ahuja. Could you email me a list of whatever jawa parts you have left? i am specifically looking for an old type cylinder barrel, Control levers (with pointy end), and any silencers you might be having. 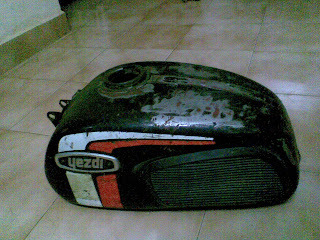 hi..i am interested in buying few yezdi roadking parts....can u plz call me at 9501855544..
i got yezdi roadking 96 model and i want little help from you i saw ur parts list and i want sme parts as soon as possible so that i can make go smooth. Hii I want jawa ipl piston standard and bore soo plz help me.contact 9700777131 tarun..
May I you is there any fortune in getting an IPL pistons of first oversize for my yezdi B Model. 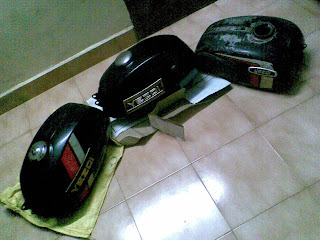 Any luck in getting an IPL piston for Yezdi?